The Director-General of the World Trade Organization is responsible for supervising the administrative functions of the World Trade Organization (WTO). Because World Trade Organizations' decisions are made by member states (through either a Ministerial Conference or through the General Council), the Director-General has little power over matters of policy - the role is primarily advisory and managerial. The Director-General supervises the WTO secretariat of about 700 staff and is appointed by WTO members for a term of four years. The current Director-General is Roberto Azevêdo of Brazil, since 1 September 2013. Before the creation of the WTO, the General Agreement on Tariffs and Trade had a series of Directors-General. Peter Sutherland was the last DG of GATT and the first of the WTO. This is a list of former holders of the office of director-general. The post was created in 1995, although the earlier office of Executive Secretary is often seen as a direct equivalent. ^ McClanahan, Paige (8 May 2013). "Roberto Azevêdo to be named new World Trade Organisation chief". Guardian. Retrieved 8 May 2013. ^ "Previous GATT and WTO Directors-General". WTO. Retrieved 8 May 2013. Peter Denis Sutherland was an Irish businessman, barrister and politician who served as UN Special Representative for International Migration from 2006 to 2017, Chairman of Goldman Sachs from 1995 to 2015, Director-General of the World Trade Organization from 1993 to 1995, European Commissioner for Competition from 1985 to 1989 and Attorney General of Ireland from 1981 to 1982 and 1982 to 1994.
International trade law includes the appropriate rules and customs for handling trade between countries. However, it is also used in legal writings as trade between private sectors, which is not right. This branch of law is now an independent field of study as most governments have become part of the world trade, as members of the World Trade Organization (WTO). Since the transaction between private sectors of different countries is an important part of the WTO activities, this latter branch of law is now a very important part of the academic works and is under study in many universities across the world. Pascal Lamy is a French political consultant and businessman. He was the Director-General of the World Trade Organization (WTO) until 1 September 2013. His appointment took effect on 1 September 2005 for a four-year term. In April 2009, WTO members reappointed Lamy for a second four-year term, beginning on 1 September 2009. He was then succeeded by Roberto Azevêdo. Pascal Lamy was also European Commissioner for Trade and is an advisor for the transatlantic think-tank European Horizons, as well as currently serving as the Honorary President of the Paris-based think tank, Notre Europe. Timothy (Tim) John Groser is a New Zealand politician and diplomat. A member of the New Zealand National Party, Groser was a Member of Parliament between 2005 and 2015, and a cabinet minister between 2008 and 2015. He resigned from Parliament on 19 December 2015 to take up the role of New Zealand's ambassador to the United States of America. Alejandro Jara was a Deputy Director-General of the World Trade Organization (WTO). He served in this position from 2005 to 2013. His career began in 1976 when he joined the Foreign Service of Chile to primarily focus on international economic relations. From 1979 to 1984, he served in the Delegation of Chile to the General Agreement on Tariffs and Trade (GATT) and was seconded to the Economic System for Latin America (SELA) in Caracas as Coordinator for Trade Policy Affairs. He was appointed Director for Bilateral Economic Affairs in 1993 and Director for Multilateral Economic Affairs in 1994. From 1996 to 1997, he was also Chile's senior official to the Asia-Pacific Economic Cooperation (APEC) and Deputy Chief Negotiator for the Chile-Canada Free Trade Agreement and Chile-Mexico Free Trade Agreement. In 1999, he was designated Director General for International Economic Relations. He was appointed in 2000 as Ambassador, Permanent Representative of Chile to the World Trade Organization in Geneva. From 2000 to 2005 he held various diplomatic and ministerial positions, including Chairperson of the Committee on Trade and Environment of the WTO in 2001 and Chairman of the Special Session of the Council for Trade in Services in 2002. He's written a variety of papers on international trade. The International Trade Centre (ITC) is a multilateral agency which has a joint mandate with the World Trade Organization (WTO) and the United Nations (UN) through the United Nations Conference on Trade and Development (UNCTAD). Roberto Carvalho de Azevêdo (Portuguese pronunciation: [ʁoˈbɛʁtu kaʁˈvaʎu dʒi azeˈvedu]; born 3 October 1957) is a Brazilian career diplomat and the current Director-General of the World Trade Organization. Azevêdo was elected to succeed Pascal Lamy as Director-General of the World Trade Organization in May 2013. He assumed office on 1 September 2013. He is paid a salary of 300,000 Swiss francs and an allowance of 200,000. The Ambassador and Permanent Representative of Australia to the World Trade Organization is an officer of the Australian Department of Foreign Affairs and Trade and the head of the Permanent Mission of the Commonwealth of Australia to the World Trade Organization (WTO) in Geneva, Switzerland. 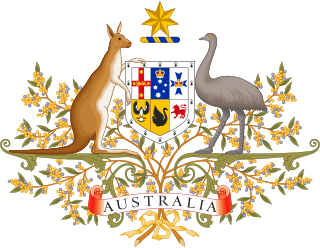 The position has the rank and status of an Ambassador Extraordinary and Plenipotentiary and continues Australia's representation to the General Agreement on Tariffs and Trade, as a charter member joining the WTO to replace the GATT on 1 January 1995. The Permanent Mission to the WTO is based with the Australian Permanent Mission and Consulate-General in Geneva. Prior to 1983, the role of Australia's representative on the GATT was filled by the Permanent Representative of Australia to the United Nations Office in Geneva.